Codenamed "Whirlwind," Pixelmator Pro was first announced in September as a next-generation Mac image editor with hooks into Apple's latest graphics platforms, as well as advanced in-house technology designed to turbocharge editing workflows. Built on Swift 4, the app integrates Metal 2, Core Image and OpenGL for GPU-powered editing, taking computational load off the CPU while accelerating graphically intensive tasks. Metal 2, for example, is utilized to render painting tools and dual texture brushes. With a revamped single-window interface, which takes the place of Pixelmator's floating tool palettes, Pixelmator Pro puts a focus on the image at hand rather than of the app's toolset. 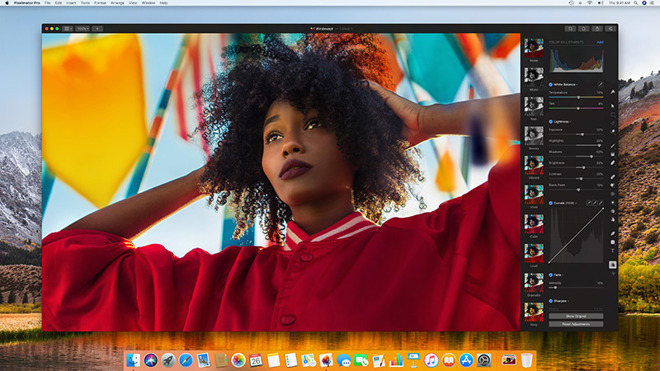 The Pixelmator team also streamlined the GUI to reflect the look and feel of macOS, presenting a finished product that acts and functions much like a first-party Apple product. New to the app are machine learning assets implemented via the Core ML framework that power intelligent editing tools and features like the ability to detect attributes in images for accurate automatic layer naming, automatic horizon detection, smart object removal and quick selections. Developers of professional-level image editing software are quickly turning to artificial intelligence technologies to assist in basic workflow tasks. For example, Adobe earlier this week teased a new function coming to Photoshop CC that uses machine learning to automatically select an object, person or animal in a given scene. 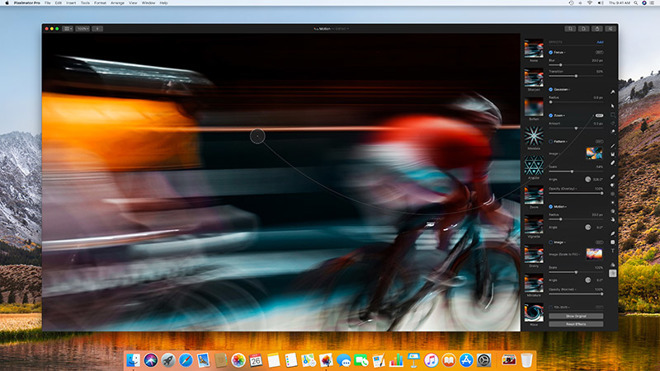 In addition to machine learning technology, Pixelmator Pro builds on Pixelmator's foundation as an easy-to-use, yet powerful image editing application. Like competing products, the app supports nondestructive color adjustments, effects, styles and tools, while a new presets feature lets users create and save combinations of adjustments, effects and styles as macros. These presets can then be shared with other Pixelmator Pro users. The app also supports RAW files, including RAW layers, HEIF files and Adobe Photoshop images. Future Pixelmator Pro updates are already in the works, as is a version for iPad. The developer intends to continue sales and support of Pixelmator in tandem with the new Pro iteration. Pixelmator Pro version 1.0 requires macOS High Sierra and a Metal-compatible graphics card. The app is available now from the Mac App Store for $59.99.